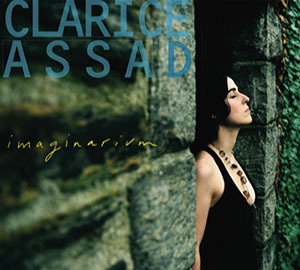 The release of Clarice Assad’s Imaginarium puts her in contention for some major recognition, for with this recording, Ms. Assad has created a veritable museum of music; a cultural cornucopia—with Brasil at the centre of this spectacular universe. Ms. Assad is one of those musicians who have their fingers on the pulse of the science and the mysticism of art all at once. Moreover, being made almost entirely of music she appears to see and hear things almost in their entirety. And not only that, Ms. Assad also hears the music that she is going to write in its finest detail. The result is writing and producing music that is almost pre-written in her head. And because she is so sophisticated; so well-schooled and such a complete musician the results are—especially here—like certain classical composers and musicians: completely perfect. Traversing through this album is like walking through a museum of life, but a completely imagined one—an Imaginarium. The tour takes place in three dimensions—and a fourth and spectral one as well. However all of the music is almost palpable so that even the hidden, spectral ones, pierce the heart and soul and the mind’s mind as if it were the music of the deepest desires of the subconscious, calculated to draw in the soul of every one beguiled by its utterly spectacular beauty. Clarice Assad is not a vocalist; she is more than that: a griot who having absorbed the history of the world as described by music now sings it, while accompanying herself on the piano or celeste. Like some supernatural being she can entertain and heal with her music as well. While her vocalastics do not subscribe to any order or system of defined pitch, her singing is, nevertheless, beautiful and attractive and touches the soul of the listener with its suggestion of a falling brook, its dramatic glissandos and sudden leaps that cut through the air like great arcs of musical fire, searing the mind with impressions of their memorability. Her pianism is both melodic and rhythmic, and rocks and sways with the pulsating life of Brasil. But it is the whole of her music that mesmerises. Its imagery is replete with the idiom of Brasilian life played by such a myriad of instruments that augment the voice that it is almost mind-boggling how such disparate elements can be forged into something so ineffably perfect. Mighty indeed is her voice and so singular that there is nothing to compare with it. This voice that permeates all of her musicianship and defines her repertoire that is here, vast and varied. Ms. Assad also functions as a consummate arranger, conductor and producer of her own music creating such daredevil feats as melding rap and soaring voices and strings with her earthy Brasilian fare. 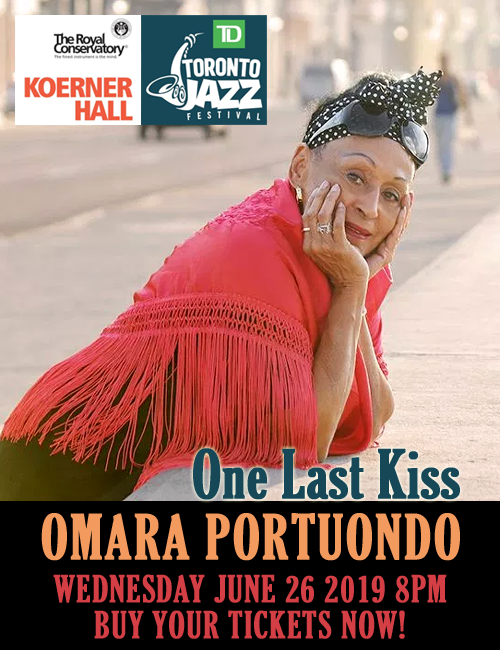 The list of performers includes the soprano Melody Moore (“A Morte da Flor”), the great violinist Nadja Salerno-Sonnenberg (“A Morte da Flor” and the soaring, but elementally melancholic “Lachrimae”) as well as mandolinist Mike Marshall (“Fantasia”), guitarist extraordinaire Romero Lubambo on the breathtaking “Da Imaginação” and the marvelous Luciana Souza (“Perto do Luar”) and a discovery of sorts, vocalist Arooj Aftab (“Tempestade”). Many more stellar performances inform the beauty of this album, but the marquee belongs to Clarice Assad. It is usually difficult to predict how careers will turn out but even at her young age, everything she has done so far suggests that Clarice Assad is destined for great things. Track List: De Perna Pro Ar; Pássaros; Tempestade; Fantasia; Da Imaginação; Perto do Luar; Revolta das Flores; A Morte da Flor; Lachrimae; Why? ; Dedezinha de Maiô. Personnel: Clarice Assad: voice, piano (1, 6, 7), prepared piano (2, 8), toy piano (10), programming (1), effects (8, 10, 11), celeste (11), accordion (11). 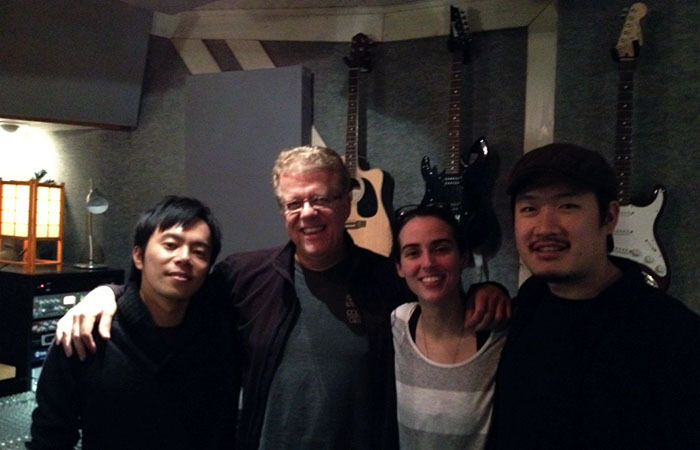 Ethan Startzman, electric bass (1); Keita Ogawa, drumset & percussion (1, 3, 4, 5, 6, 7, 10), effects (3, 4, 8), bird whistles (3), aquaphone (8), cymbals (8), toys (10), percussion (11); Galen Lemmon, timpani (1, 7), marimba (2, 7), vibraphone, large bass drum & tam tam (4), Dawn Harms, violin (1, 2, 4, 6, 7, 10); Candace Guirao, violin (1, 6, 7); Emily Onderdonk, viola (1, 6, 7); Emil Miland, cello (1, 6, 7); Miguel Malla, sax (1); Rocky Michaelian, piano (2, 4, 10); Bernardo Aguiar, pandeiro & effects (4); Gabriel Policarpo, repique & effects (4); Carlos Malta, pife (2), alto flute (4); Ramonzin: rap (1); Mike Marshall: mandolin(4); Claudia Villela: voice (4); Arooj Aftab, voice (3); Meredith Clark: harp (4); Patrick McCarthy: acoustic bass (4); Romero Lubambo: guitar (5); Marcelo Caldi: Accordion (5); Yasushi Nakamura: acoustic bass (5, 6, 7); Luciana Souza: voice (6); Melissa Wegner & Yulia Van Doren (English) Amy Duxbury: bassoon (7, 10); Melody Moore: soprano (8); Nadja Salerno-Sonnenberg: violin (8, 9); Yulia Van Doren: soprano (Pansy) (10); Melissa Wegner: soprano (Daisy) (10); Jonathan Kimple: baritone (The Flower God) (10); Patrick McCarthy: acoustic bass (10); Badi Assad: voice (11); Augusto Ordine: human bass (11); Pedro Araújo: guitar (11); Carol Panesi: violin (11); Pedro Aude: acoustic bass (11); Elis Horcades: child (voice over); CHOIR (2): Celia Maria Vasconcelos da Cunha, Luisa Peclat, Claudia Sarti, Renata Melo, Walgra Maria, Fábio Jabur, Fábio Nogara, João Gabriel Mistura, Zezinho Só, Silvia Ferrante; ORDINARIUS (5): André Miranda, Augusto Ordine, Fernanda Gabriela, Gustavo Campos, Luiza Sales, Maíra Martins; VOICE OVERS: Svetlana Gorokhovich (Russian); Hiromi Suda (Japanese); Peiyou Chang (Chinese); Junia Flavia D’Affonseca (Portuguese); Andrea Forderreuther (German); Sofia Rei (Spanish).